We have customers in Illinois that need quotes. 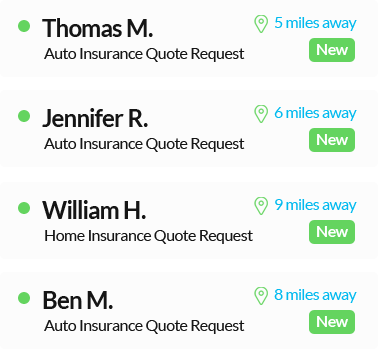 Connect with customers right here on Illinois Insurance that are actively looking for insurance. We verify every submission and immediately send it to you either as a live insurance call or lead. Start getting new customers today! Thank you for your interest! We have received your inquiry. No minimums, contracts, or long-term commitments. Pre-qualified prospects from Illinois delivered to your agency ready for a quote. You control type, filters, geography and more. Our proprietary validation process checks for valid phones, emails, and tracks on form consumer behavior to further verify intent. Integrated with LeadiD/Jornaya, xVerify, RealValidation, and other 3rd party APIs.